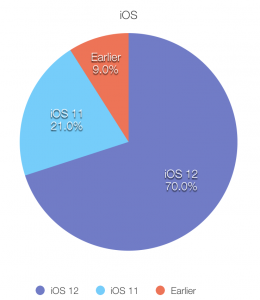 Earlier this week, Apple shared the most recent statistics on their mobile OS adoption in November. The numbers followed the same general trend since the release of iOS 12 in mid-September, which is to say that iOS 12 keeps going up while earlier versions continue to drop. iOS 12 is now in use on 70% of all active devices and on 72% of all devices sold since late 2014. That’s a 10% uptick for both and an impressive increase, especially considering that this same time last year, iOS 11 was only installed on 59 percent of devices while 33 percent were still running iOS 10. The continued and consistent adoption of iOS 12 shouldn’t come as too much of a surprise. 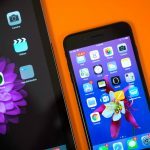 With a focus on system performance and reliability (over lots of fancy new features like iOS 11 touted), the software quality is widely considered superior to that of its mobile OS predecessor. 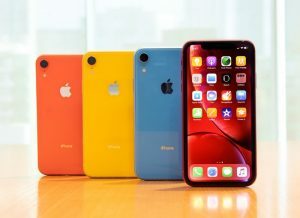 iOS 12 is also available on more devices, including the recently-released iPhone XR which Apple’s vice president of product marketing Greg Joswiak has called “Apple’s best selling iPhone” since its launch in late October. 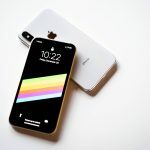 The adoption increase might also be attributed to the first iOS 12 update released in late October, which offered 70 new emojis, group FaceTime, and dual SIM support. The second update, iOS 12.1.1, was released just yesterday and includes feature improvements — such as relocating the button to switch between the front and back camera in FaceTime — as well as additional carrier support for the latest devices’ eSIM capability and a series of other bug fixes. As you might expect, iOS 11 gave up nearly 10 percent of its audience share in the last month, going from 29% to 21% on all active devices and all devices sold in the last four years. Earlier mobile OS versions dropped from 11% adoption in late October to 7% adoption by early December. Adoption isn’t quite as high on Android — though they’ve yet to release their November numbers for comparison. At the end of October, Google’s latest OS version, Android 9 Pie (which was released a whole month before iOS 12) had yet to reach 0.1 percent adoption. Contrast that with its predecessor, Android 8.x Oreo, which had reached 21.5 percent adoption by this same time last year. That might not be an indication of Pie’s popularity (or lack thereof) so much as it’s a consequence of Google’s OS upgrade system. 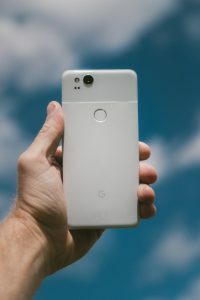 As Cult of Mac pointed out following Pie’s release last August, new Android mobile OS versions can only be installed on certain devices; by contrast, updated iOS versions can be installed on nearly every device as soon as they’re available. As of late November, only 40 Android devices (of all Android devices officially released in the US) are able to install Android’s latest mobile OS — and still, it remains to be seen if even a small percentage of them have taken advantage of that.